Children love mimicking their parents and play food is an ideal toy for children who love pretending to play in the kitchen. 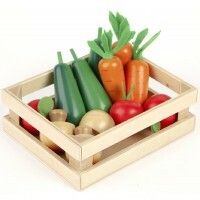 This fantastic wooden food box contains a cutting board, a wooden knife and eight pieces of play food which are held together with Velcro to make cutting sounds when they are sliced. This cutting food set is both educational and lots of fun. had not seen this before bought this for my granddaughgers 2nd birthday and she loved it cutting things up and handing them out. 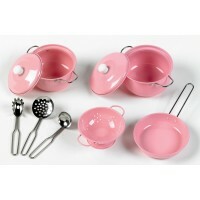 Brilliant quality and size, attractive and good value for money.